Certified organic product category is the rising star in the food supplements industry internationally. While different regions of the world may have different standards of organic regulations, it is unanimously agreed that consuming certified organic products is one of the best things you can do for your body and for the environment. Organic is synonymous to purity, sustainability, eco-friendly, non-GMO and many more. In the US, products that meet or exceed USDA’s National Organic Programs can be certified organic. 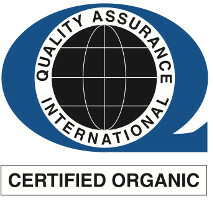 Jarrow Industries partners with Quality Assurance International (QAI), a USDA accredited certifying agency for its organic accreditation. As one of the pioneers in the organic industry, QAI is one of the most stringent and therefore, one of the more trusted and recognized organic certifying agency worldwide. For those interested in learning about the intricacies of the organic program, we recommend visiting the USDA website for further reading. Current Good Manufacturing Practices (cGMP) are a set of guidelines that are observed within all of Jarrow Industries processes, procedures and documentation to ensure purity, strength, composition and congruent identity to the products as they are intended. These cGMP guidelines covers processes from the very start of qualifying the raw materials to finished goods testing requirements. Jarrow Industries is cGMP Certified by NSF International. Founded in 1944, NSF International is the foremost organization in providing criterions for public health and safety standards. NSF International consists of a team of scientists, engineers and public heatlh professionals that will test and confirm their standards and protocols.